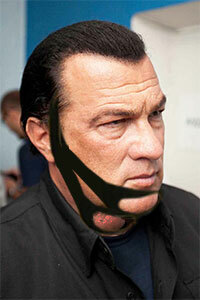 Steven Seagal Wears A Chinstrap! 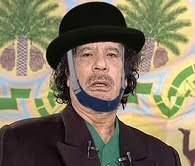 To celebrate the founding of Chinstraps Anonymous, Gingerfightback brings to you some of the great and good down the years who have worn one. 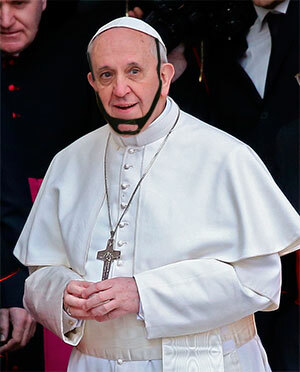 As Churchill said, “Never in the history of human conflict has so much been owed by so many to a Chinstrap”. Now – some old favourites – Enjoy! 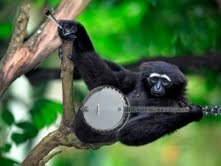 Somebody Asked To See The Gibbon Playing A Banjo Image Again…..
Somebody asked to see the Gibbon playing a banjo image again – as always happy to oblige! 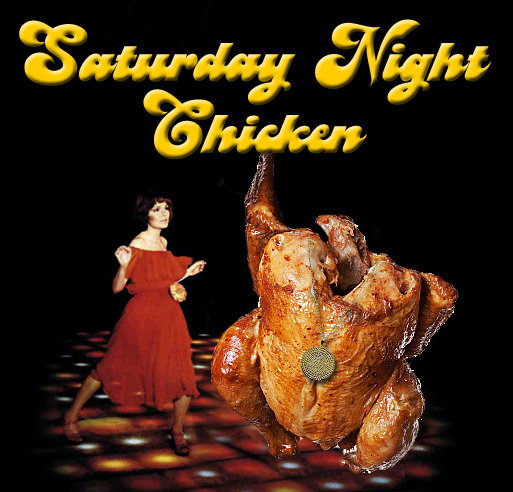 Somebody asked to see the Saturday Night Fever Disco Chicken again – as always happy to oblige! 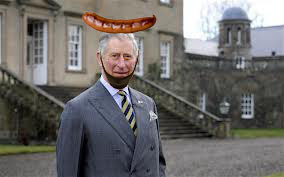 Somebody asked to see Ali with a chicken on his head again – as always happy to oblige! Somebody has asked to see the Einstein with a Col Au Vent Image again – as always happy to oblige! 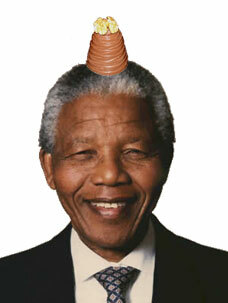 Somebody has asked to see Nelson Mandela with a walnut whip on his head again – as always happy to oblige! Someboday has asked to see the David Niven With A Wagon Wheel On His Head Image again – as always happy to oblige! Somebody has asked to see the Leonardo Da Vinci wearing a yorkshire pudding on his head image again – as always happy to oblige! 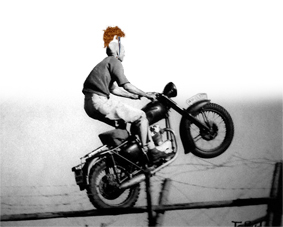 Somebody has asked to see the Steve McQueen Great Escape image again – as always happy to oblige ! Last week somebody asked to see Picasso smoking his fishfingers……What a strange world we live in. Somebody Asked To See The Saturday Night Fever Disco Chicken Again…..